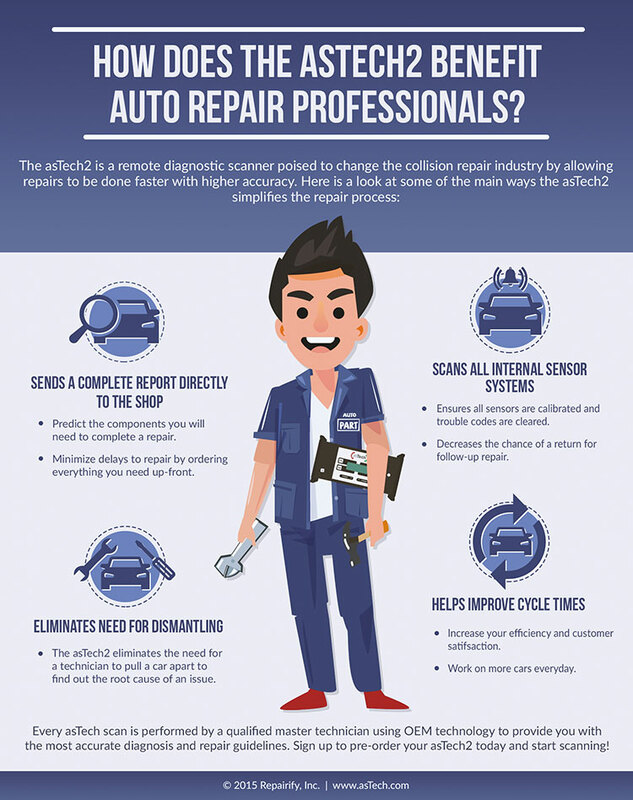 How Does asTech2 Benefit Auto Repair Professionals? The asTech2 is a remote diagnostic scanner poised to change the collision repair industry by allowing repairs to be done faster with higher accuracy. Here is a look at some of the main ways the asTech2 simplifies the repair process.